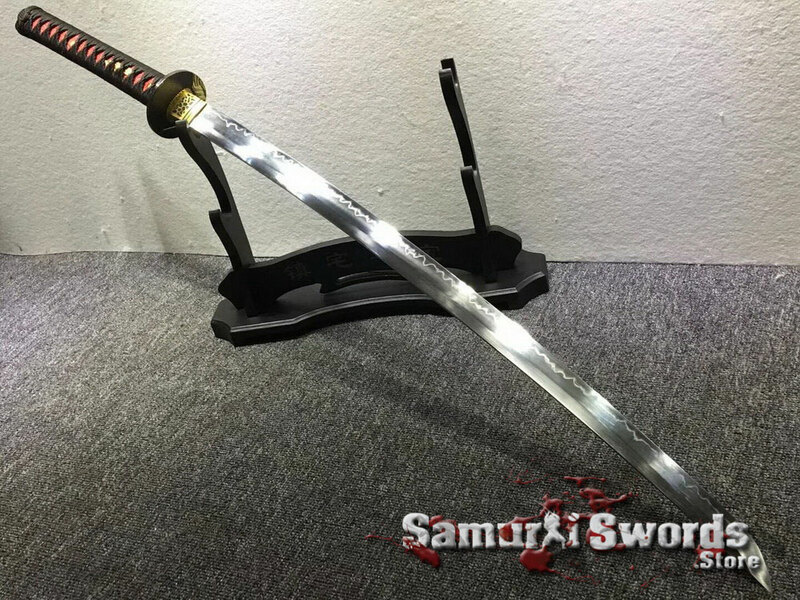 The katana is famous for being one of the finest cutting weapons in history. Today, since its featured in popular culture, the number of sword enthusiasts continue to increase. 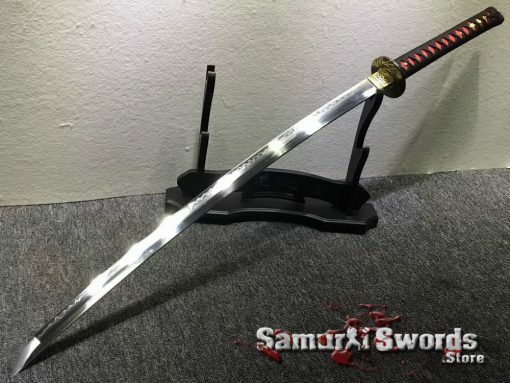 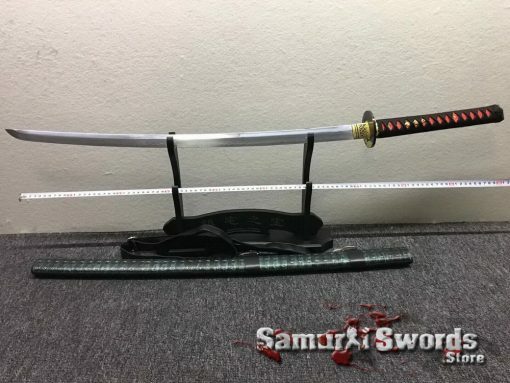 If you are one of them, you might want to include this katana to your collection. 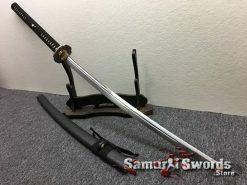 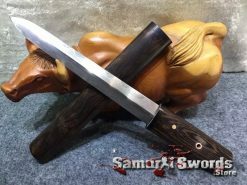 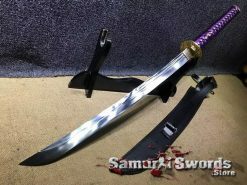 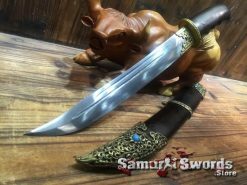 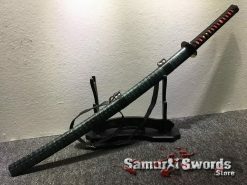 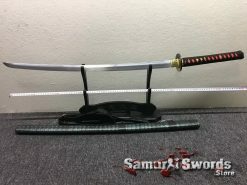 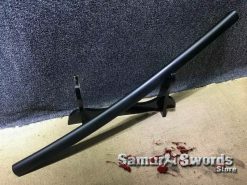 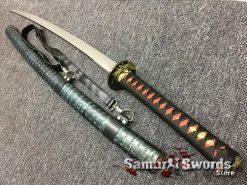 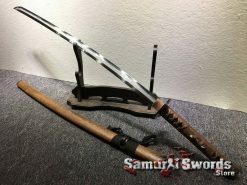 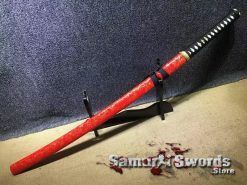 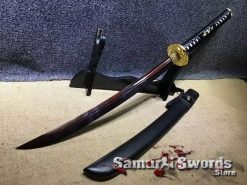 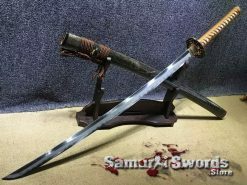 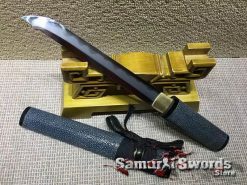 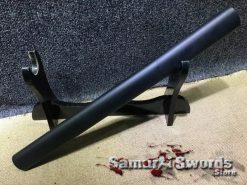 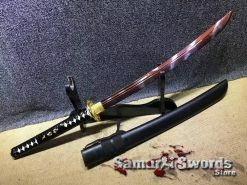 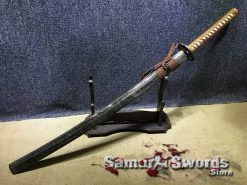 This katana sword has a fully sharpened blade and a saya made from synthetic leather. T10 clay tempered steel is used for this katanas blade and it contains 1% carbon. 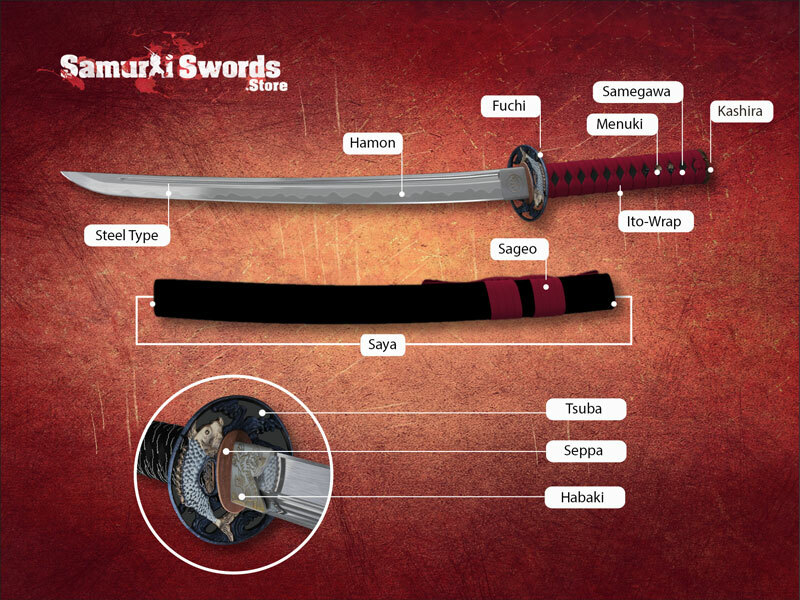 This steel is superior to carbon steel when it comes to hardness and durability. 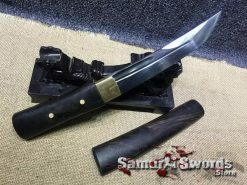 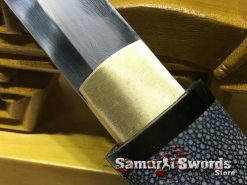 The blade is also clay tempered, giving it a harder edge and a soft spine. 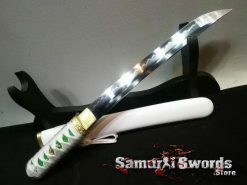 The hard edge retains the blades sharpness while the soft spine makes it flexible. 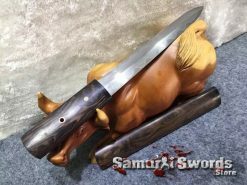 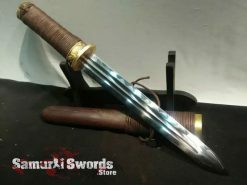 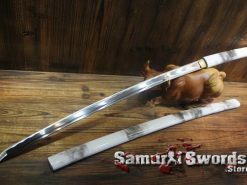 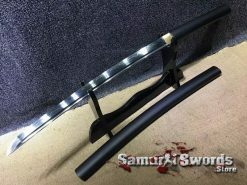 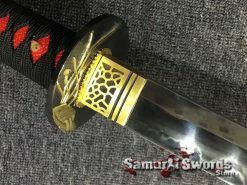 This is done via the classic clay-coating tempering process, making the sword perfect for rigorous tameshigiri. 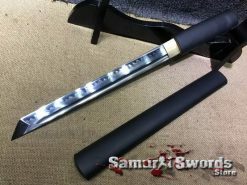 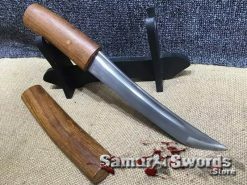 This sharpened katana is also a full tang sword. 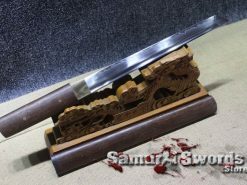 Its blade extends throughout the whole tsuka, making it a single piece of metal. With that, the katana can be used for practice cutting or training. 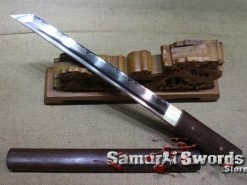 The blades length is 72 centimeters while its width is 3.2 centimeters. 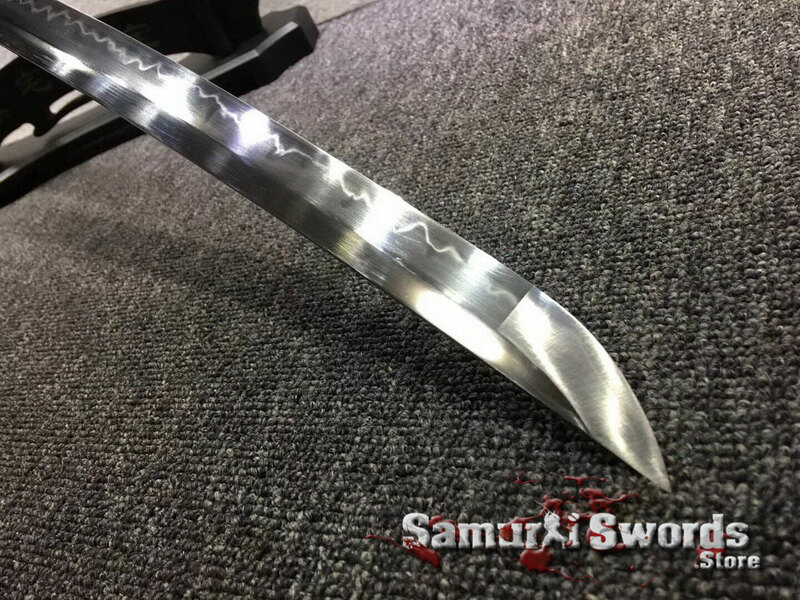 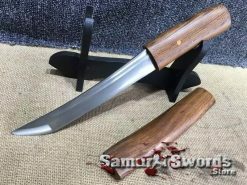 For the tsuka, it is 27 centimeters long and its overall weight is 1.68 kilograms. 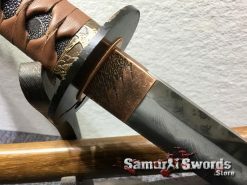 This katanas blade also features a bohi. 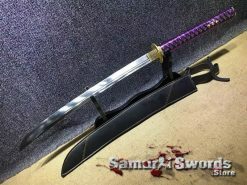 It runs down the blades length and makes it easier to wield and more lightweight. The tsuba, menuki, fuchi, and kashira are some of this katanas accessories. 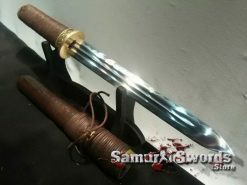 Each of these are made from metal. 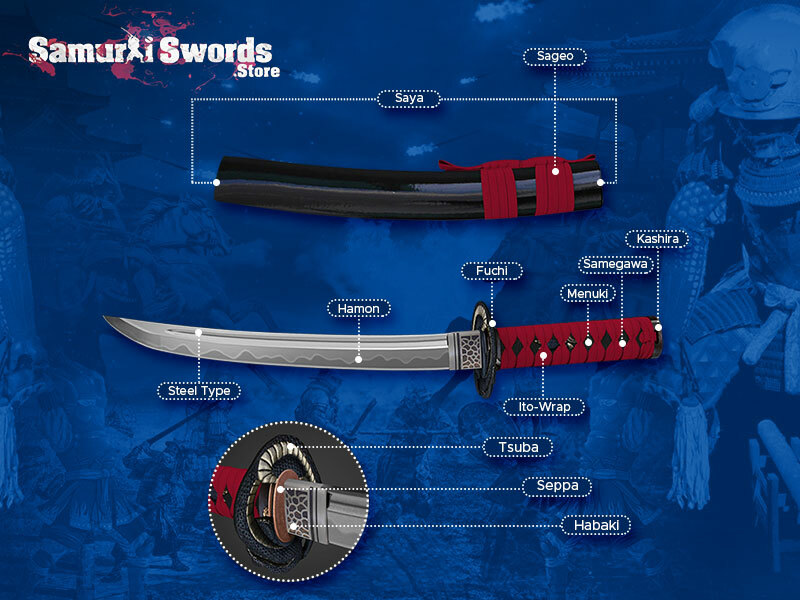 The tsuba and kashira are designed to provide balance to the sword. 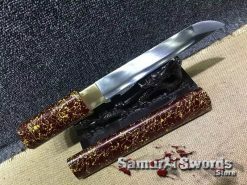 The fuchi is a ferrule that resembles a cap that conceals the opening on the tsuka. 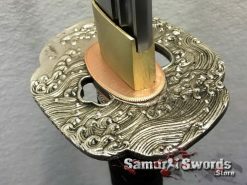 As for the menuki, these are adornments you can find beneath the ito. 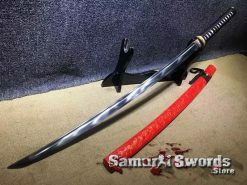 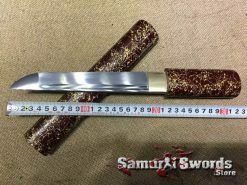 The tsuka of this katana has a red samegawa and a black silk ito. 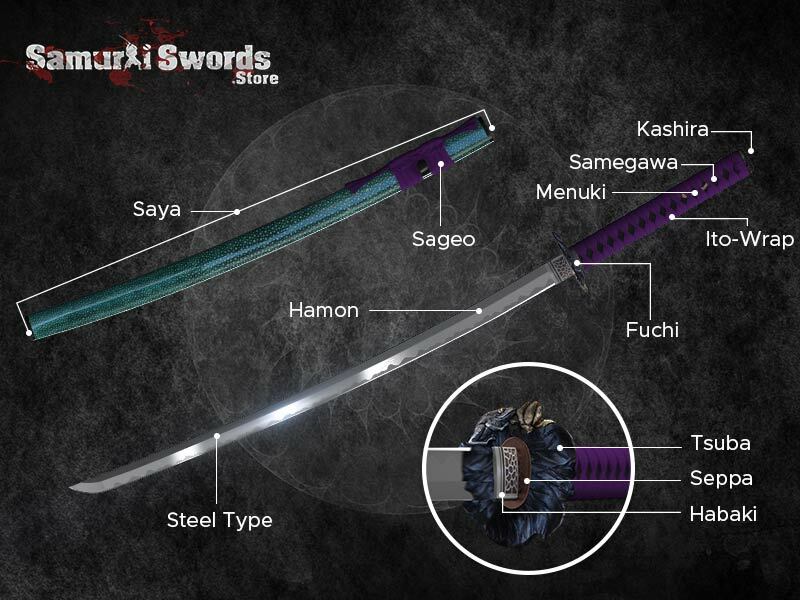 Aside from adding to the swords aesthetic value, these also have functional uses. 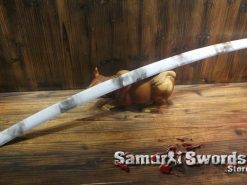 The samegawa keeps your sweating hands dry while the ito supports and adds strength to the tsuka. 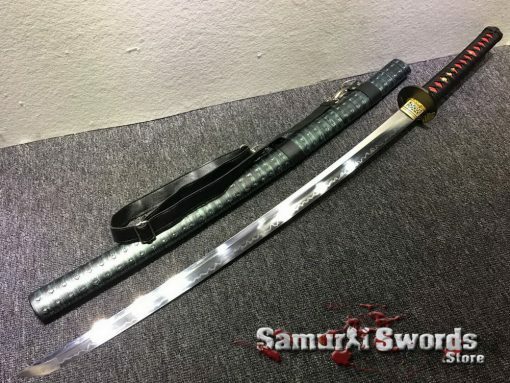 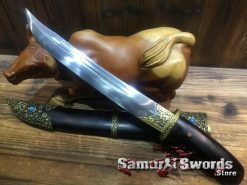 This katana features a synthetic leather saya where you can keep the sword when not in use. 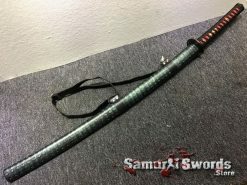 The saya also features a shoulder strap that you can use for carrying. 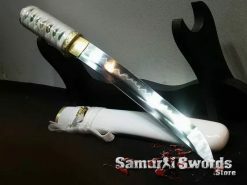 It prevents the blade from having unwanted damages while adding to its aesthetics. The sword also comes with a silk sword bag that lets you easily carry the katana during trips to the dojo.